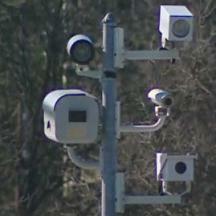 FIRST, state lawmakers introduced legislation which would allow private contractors, rather than police, to approve speed camera citation. But now legislation is being considered which would allow an attorney, rather than a judge to hear to hear "nonincarcerable violations of the Maryland Vehicle Law", which would include speed and red light camera cases. The legislation, House Bill 1030, was sponsored by State Delegate Tiffany Alston(Prince George's County) would require judges in Prince George's County to appoint an attorney called a "Master", to hear cases and decide guilt or innocence The bill further states "IMPLEMENTATION OF THIS SECTION MAY BE FUNDED BY REVENUES RAISED IN PRINCE GEORGE’S COUNTY FROM SPEED MONITORING SYSTEMS", meaning that the salary of such individuals could be paid out of speed camera revenues. This would give the attorney a financial motive to find people contesting speed camera tickets guilty, or to not reduce fines if there were mitigating circumstances. The fiscal policy notes for the legislation cite the increasing number of cases which Prince George's County has received from speed and red light camera programs as reason for the bill.